Rogers Place, the new 18,640 seat home arena of the Edmonton Oilers, is the hallmark of the downtown core and the star feature of the city’s ICE District, the largest mixed-use sports and entertainment quarter in Canada. Rogers Place is also the first Canadian arena to obtain Leed® Silver certification. The arena officially opened at the start of the 2016-2017 hockey season. 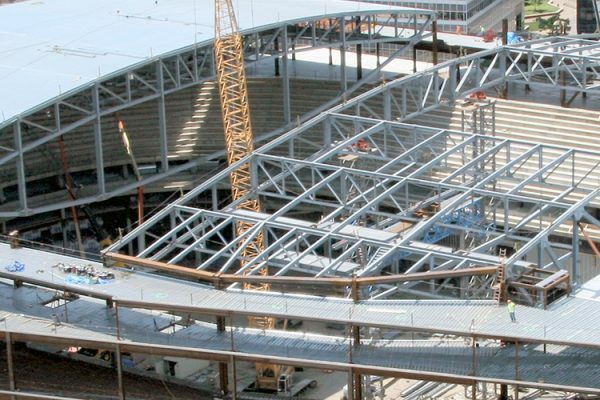 For this particular project, Canam Structures acted in the capacity of structural steel contractor for the construction of both the arena and the Winter Garden, now branded as Ford Hall, is a 33,800-sq. ft (3,140 m2) building that functions as the main entrance to the venue. Some two-thirds of the Ford Hall is also designed to serve as a public space that can be used to host either public or private events. Canam Structures was invited to the project partners table right from the preconstruction phase in order to prepare an estimate and a preliminary erection schedule. Canam-Structures’ design-assist expertise was particularly appreciated with its roof construction solution that integrated security systems in the design phase; a contribution that helped to keep the project on budget. One of the main challenges of building the Winter Garden was its location: overlooking 104 Avenue NW in the heart of Edmonton. To keep traffic disruptions to a minimum, erection activities were carried out at night and on Saturdays. The Canam Structures team also optimized this building’s design in order to increase its resistance to heat flow. To meet the tight deadline, many venue components were prefabricated offsite and delivered installation-ready. Since these prefabricated components were to be integrated into the steel frame, careful coordination work was required prior to their delivery to the site. 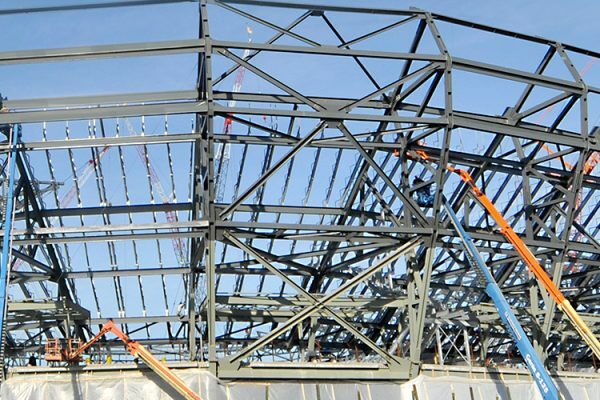 The Canam Structures team also produced a building information model (BIM) in order to perform clash detection analyses and identify the necessary solutions before the steel components were fabricated. 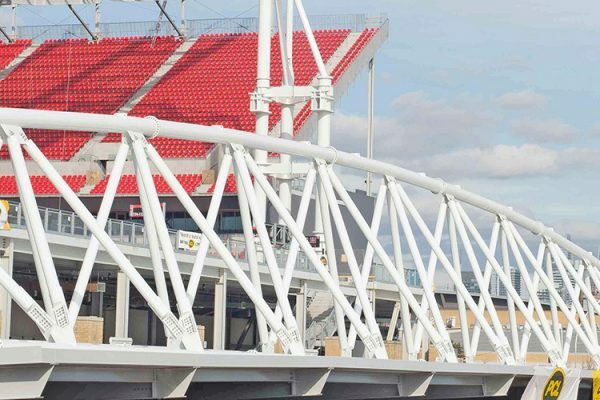 Despite multiple requests for changes during the course of the project, Canam Structures successfully executed its mandate within the specified timeframe and much to the customer’s satisfaction.